The outcry on the new type of bike lane on Breckinridge and Kentucky streets has Mayor Greg Fischer calling for a press conference. These bike lanes have caused confusion among motorists. They are confused by the bike lane design. If you've driven by some of these bike lanes, you’ll notice that there are buffers on either side of the bike lane, between the road and the side of the road where cars can park. This can be confusing if you aren't familiar with driving with bike lanes. Related: What’s a road diet? The Breckenridge and Kentucky bike lanes are some of the lanes funded by the $300,000 in the city’s budget in 2013. Fischer is thinking about asking for another $300,000 for the next fiscal year, 2015, to improve bike safety in Louisville. Why spend so much to add bike lanes in Louisville? Well, there are a couple of different reasons for that. First off, Louisville would like to become more bike-friendly. So, to help encourage people to bike, bike lanes are being added. The second reason is to increase bicycle safety. Without bike lanes, bicyclists are forced to ride on the road, right beside vehicles. These vehicles, while they try not to, could hit a bicyclist and cause them harm. Being involved in a bicycle accident is serious, and it’s important to remember what your legal rights are. Remember that you may see any doctor you want, and it’s advised that you see a doctor as soon as you can. That way you can get checked out, found out what’s wrong and focus on recovering. It’s also a good idea to contact an attorney who is familiar with Kentucky law so they can help you get the compensation you deserve. However, these bike lanes will help reduce the risk of a bicycle accident and help keep you safe. 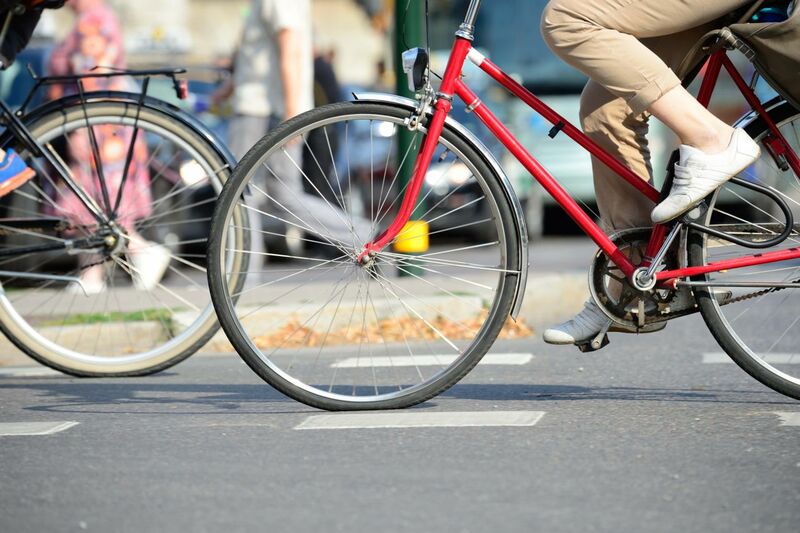 As a Kentucky Bicycle Accident Attorney, I support the government’s initiative to make Kentucky roads safer, not just for cyclists, but for other motorists as well. The new bike lanes will take some getting used to, but it’s going to help increase our safety. Bike lanes give cyclists their own space and helps make them feel more secure when riding on busy roads. If you're driving on roads with bike lanes, remember that cars are not allowed in the bike lane. Also, if you're making a turn, always look for cyclists and pedestrian. They can be harder to see, so please take time to look for them before you proceed through the intersection or turn.